It is difficult to conceive how the imagination of Sir Henry Lawrence may have first perceived that Sanawar was to be the place for his new School. On a rural hilltop at 5,600 ft, forested with pine and evergreens, Sanawar has developed over some 139 acres and is now an historical landmark in its own right. With its characteristic red roofs, visible on the horizon for miles in all directions, the estate is a veritable wonderland of rambling paths, trees, flowers and exotic birdlife. To the north, on a clear sparkling morning, the panoramic view of the snowclad peaks of the Himalayas can be seen, while to the south are rolling hills leading down to the plains. Away from distractions of city life, Sanawarian's interests are concentrated within this idyllic environment. 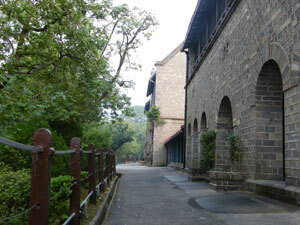 Walking around the campus, the visitor can see a mixture of colonial buildings, many of which are over a century old, nestling side by side with more modern facilities which have been added to enhance both the practical needs of the school as well as the existing physical environment. 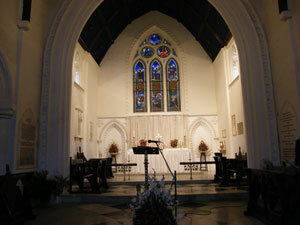 One of the oldest buildings is the 149 year old School Chapel with its exquisite stained glass windows. Whilst the school has no specific religious affiliation, the Chapel is the spiritual centre of the community and regular assemblies are held in which all students and staff take part. It is the focus of memories for all Sanawarians - old and present; the daily routine includes a silent march past the War Memorials beside the Chapel. This connects the pupils of today with those of the past who have played their part in the nation's defence. Amongst the new buildings is the Central Dining Hall, which provides over 3,000 meals a day, an indoor Sports Complex with solar heated Swimming Pool and Squash Courts. The School is constantly upgrading its facilities. Parker Hall, now the School's Learning Resource Centre, provides easy access to archival memorabilia, up to date library resources for enhancing learning and teaching, and computer with internet facilities. In this building alone fifteen computers are installed. There are many other buildings and facilities of interest, supporting both academic and non-academic activities. Particularly worthy of mention is the main teaching block, the 'Birdwood', which also contains the Barne Hall. Here plays, shows, films, lectures and other cultural programmes are regularly conducted. Around the campus are numerous playing fields, the latest addidtion is a Basketball Court. The oldest and perhaps the most famous is the Barne field which is the main Cricket and Football ground. Descent and ascent to this field alone will exhaust the fittest of players and spectators! Due to its relative isolated location, Sanawar established itself in a self sufficient manner with its own hospital, printing press, kitchen, laundry and shops. Today, communication is much easier, through e-mail and fax. Provisions are brought daily from Chandigarh, as it is only an hour and a half drive away. 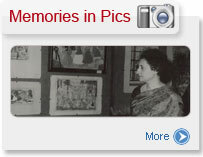 Chandigarh also provides easily accessible centres for cultural and educational activities. Improved rail links with Delhi also mean that the School now enjoys the best both the worlds - privacy and peace combined with modern links. Sitting on a hill as it does, physical activity is the daily bread of life for all Sanawarians. While the breadth and scope of its buildings provide for every possible need - academic, sporting and pastoral. Sanawar still has magical spaces for repose and quiet, where students are free to sit and reflect.